The best balloons for making figures. Easy to tie- Just inflate and twist! Too hard to blow up. These balloons were great for twisting into animals hats etc. However they were impossible to blow up by mouth and a manual ball pump took forever. We had to borrow a small electric air compressor to get all the balloons blown up to complete our activity. 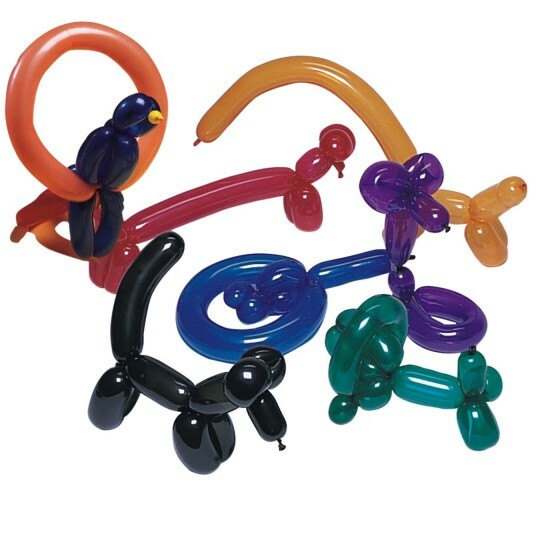 Used the balloons for making balloon animals n- worked great.